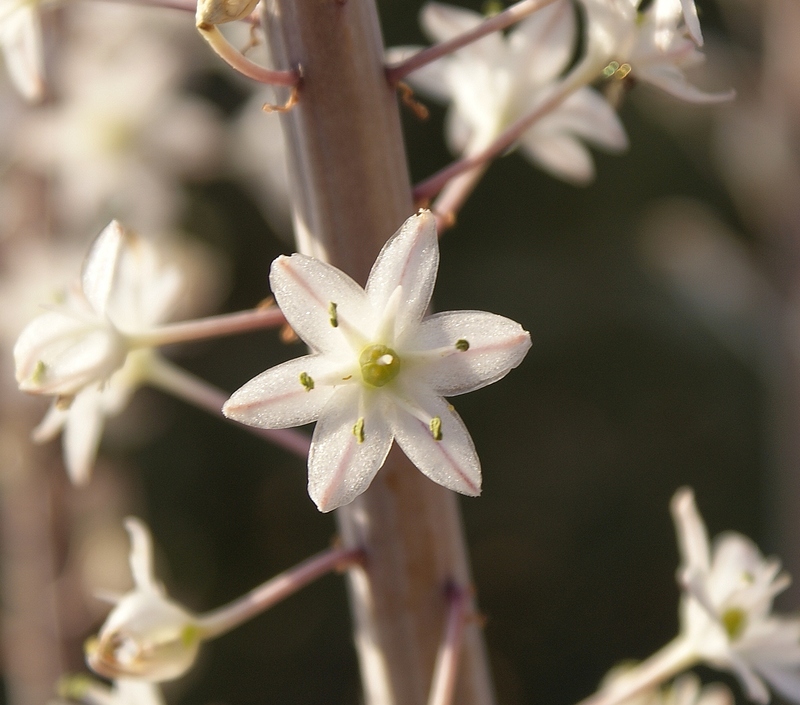 Drimia Maritima, or the Sea Squill,known in Hebrew as Hatzav. 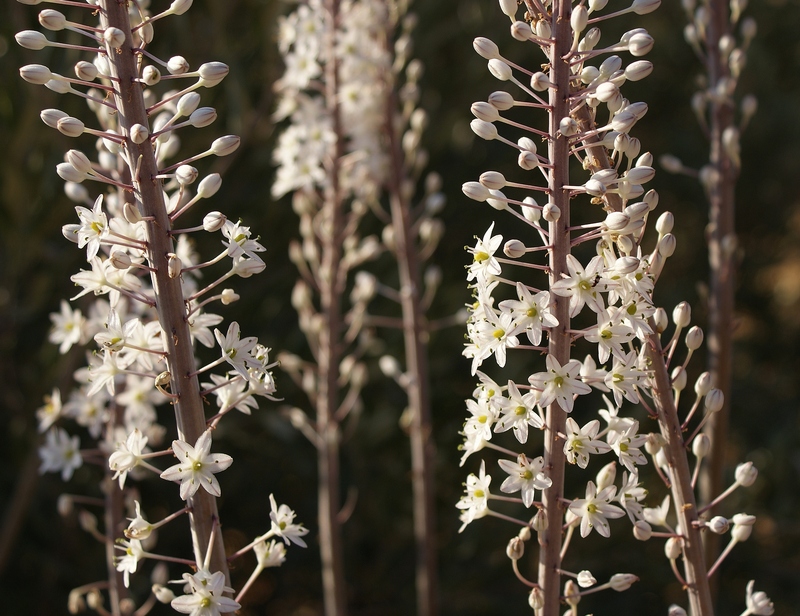 Drimia Maritima, or the Sea Squill, is known in Hebrew as Hatzav (from the word Hatzeva; quarrying, hewing or tunnelling) probably due to the ability of its long roots to penetrate cracks in rocks, and even widen them, in order to reach water or damp ground. 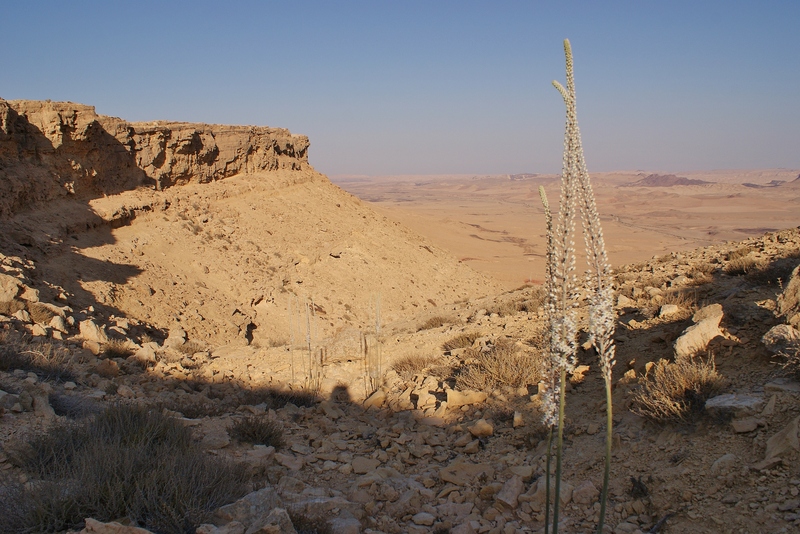 In Israel, this tall, impressive plant – which flowers right at the end of the summer when all the rest of the vegetation is dry and yellowed – brings with it the message of cooler autumn weather, the start of a new school year and the approaching holidays of Rosh HaShana (new year), Yom Kippur and Succot. 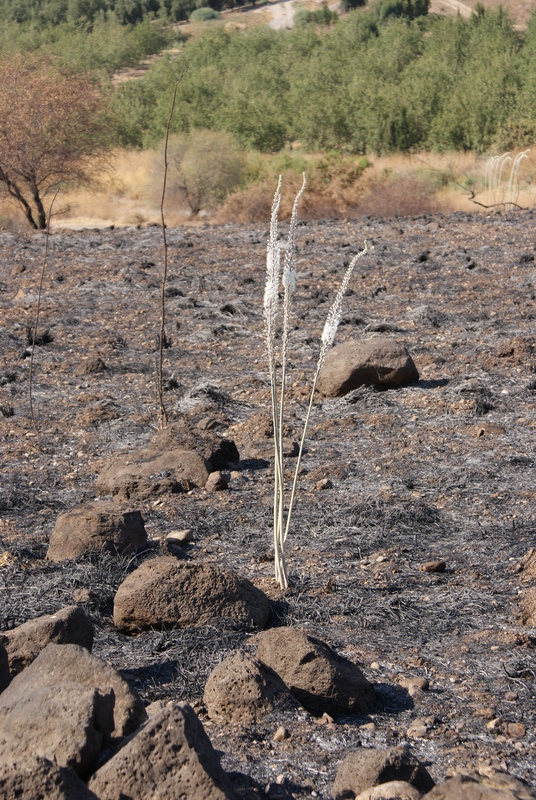 From late August until October the Hatzav can be seen all over the country; from the Negev Desert in the south to the Golan Heights in the north, by roadsides and even in places where summer brush fires have scorched all other vegetation. 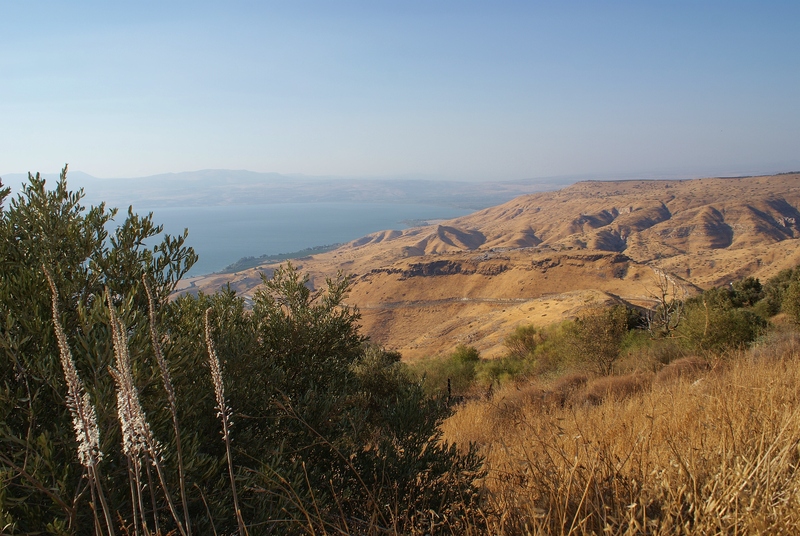 The Hatzav is mentioned in the Jerusalem Talmud as a plant used to mark the borders of agricultural plots and in modern-day Israel, its status as a symbol of the changing seasons has also earned it a place in Israeli popular music, including Naomi Shemer’s “Cmo Hatzav“ and Tislam’s “Hatzavim Porhim“, sung here by its composer Izhar Ashdot.